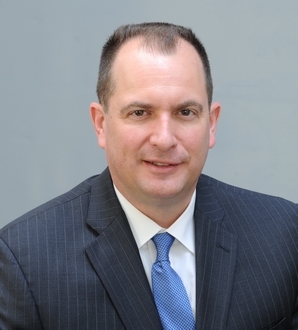 Ed Krajcir is the Broker-Owner of the Brookfield Office of Sunbelt Business Brokers and is a partner in Sunbelt Midwest, which consists of offices in Wisconsin, Minnesota and Illinois. Ed has had a varied and diverse background. While attending the University of Wisconsin, Madison and pursuing a BS degree, he owned and managed several investment properties. Additionally, he owned and operated a business forms distributor. After graduating he worked for the largest natural gas distribution contractor in the country. His primary focus was setting up new departments and working on new and innovative ventures for the company. Ed worked domestically for a few years then transferred to overseas operations. He was the Manager of European Operations setting-up offices in the Eastern Europe arena. Furthering his career, he was made Manager of Asian operations and resided in China for approximately one year. He returned to the U.S. where he was recruited to work for a manufacturer of underground ground construction equipment, running a large division of their company specializing in trenchless pipe installation. After several years, he again was recruited as the Vice President of Sales at a contract packaging company. Through the course of his career managing divisions and departments he still had the internal drive to be self-employed and control his destiny again. After extensive research and investigation he noted a need for a professional business brokerage office in Southeast Wisconsin. Ed initiated significant due diligence on the industry and determined Sunbelt was the largest and most productive business brokerage firm nationally. At that, he partnered with Scott Evert-Owner of Sunbelt Midwest and located in the Minneapolis, Minnesota office, and subsequently opened the Brookfield Office. Since conception, the Brookfield Brokerage Firm has since grown to be the largest business broker in the State of Wisconsin.